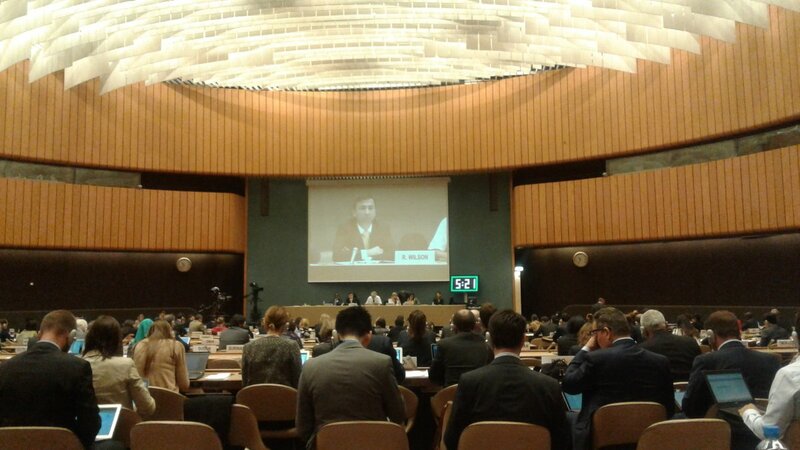 This week, Stop Funding Hate had a chance to talk to the United Nations about engaging with advertisers in the global fightback against racism and xenophobia. We had been invited to speak to a meeting of governments negotiating a new international agreement on migration. One of the aims of that agreement is to find ways of tackling hatred and discrimination towards migrants. In the room were representatives from countries where some of the world’s leading advertisers are based. Also present were delegates from nations whose citizens have been attacked on UK streets, amid a rise in hate crime that experts warn has been fuelled by hostile media coverage. This event was an opportunity to tell an international audience that tens of thousands of us are rejecting hatred and division, and using our power as consumers to push back. Alongside the huge response to Stop Funding Hate in the UK, we highlighted the work of the US-based campaign Sleeping Giants, who have persuaded 2,000 advertisers to pull their support from the notorious website Breitbart, and who now have chapters in countries across the world. Similar campaigns have also been run in Denmark, Spain, Germany and the Netherlands, suggesting that “ethical advertising” is an idea with growing international support. The United Nations has previously name-checked the Sun and Daily Mail for their “unique” hostility towards migrants. They have also cited the Sun and Daily Express in a statement on “extremist media”, warning that: “History has shown us time and again the dangers of demonizing foreigners… it is extraordinary and deeply shameful to see these types of tactics being used… simply because racism and xenophobia are so easy to arouse in order to win votes or sell newspapers”. At this week’s meeting we made the case that focussing on advertising as a business and human rights issue could help “make hate unprofitable”: If enough companies commit to ensuring that they don’t advertise with publications that incite hatred, then this will eliminate the financial incentives that are fuelling media xenophobia worldwide. As a first step, we suggested that governments – along with UN agencies and international charities – could lead by example, by ensuring that any advertising they run is not channelled through publications that incite hatred. The United Nations is one of the leading organisations working with companies to develop best practice business ethics standards. Many global brands already recognise the need to minimise their environmental impact, and avoid using suppliers who employ child labour. If more companies apply a similar principle to their advertising budgets – and recognise ethical advertising as a corporate social responsibility issue – then this could have a positive impact on the media not only in the UK but around the world. You can read our UN statement here. There is also a video of the full session on the UN website – with our contribution beginning around 27 minutes in.